Named for our Granddaughter so you know I love it. 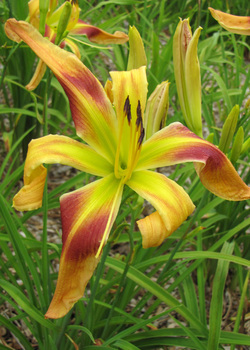 Pink with prominent red veining, darker narrow rose chevron, large neon yellow star shaped throat plus rippling white edges. 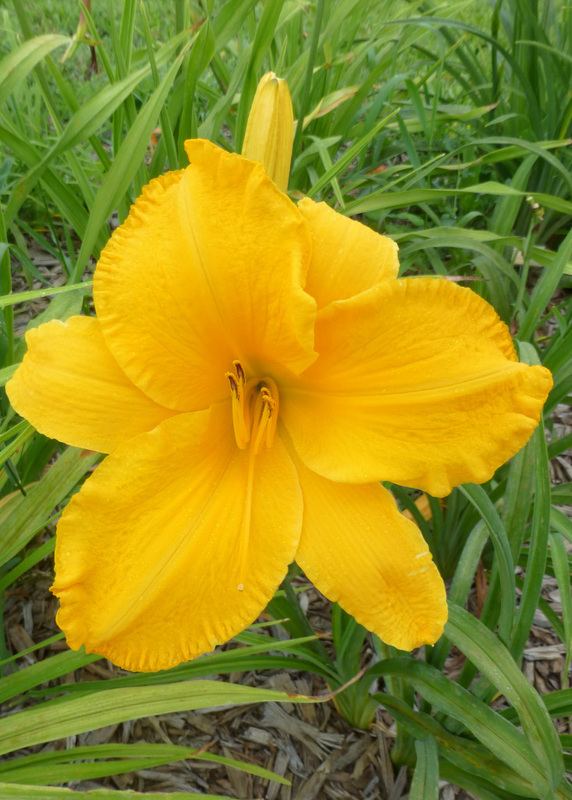 First in a series of Daylilies that will honor the members of the 8th Air Force and the sacrifices they made to help keep us free. Brilliant glowing golden-orange with a tiny green throat and a ruffled edge .... occasionally a few toothy projections. The color is amazing, grabbing your attention from way across the garden. 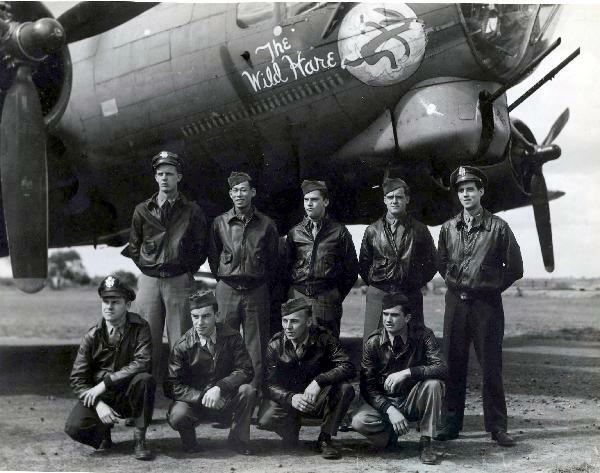 Named in honor of the crew of the "Wild Hare" who served during World War II. Thank You for your service. Yellow with large rose red chevron eye above bright green throat. season so I wanted it to have the word "return" in it's name. It will memorialize a family story with a "return" theme. For several years we lived next door to my sister and her husband. Our nephew Chris, now grown, was a toddler and spent many hours at our house. One Christmas he received a small stuffed toy (a dog) tucked into his Christmas stocking and he named it Woof. That dog became his favorite toy and something he had to have when he went to bed. It traveled everywhere with him and was even left in a hotel room once. It cost more to ship it home than the original cost of the toy, but they were thrilled to get him back. After a day spent at our house, Woof disappeared. We looked everywhere, but he was not to be found, and Chris had to separate from his beloved friend. Our dog "Nipper" LOVED stuffed animals ..... a couple years after Woof's disappearance when planting some annuals, I found something in the ground that I was afraid to touch. Further examination and I discovered that it was Woof, right where Nipper had hidden him. He was given a bath and returned to Chris.